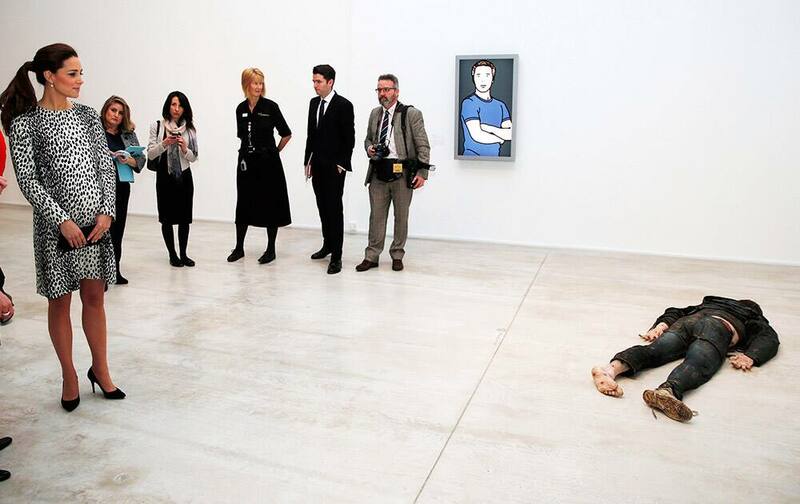 Kate, the Duchess of Cambridge looks at "Self Portrait as a Drowned Man" by Jeremy Millar, during her visit to the Turner Contemporary in Margate, Kent. 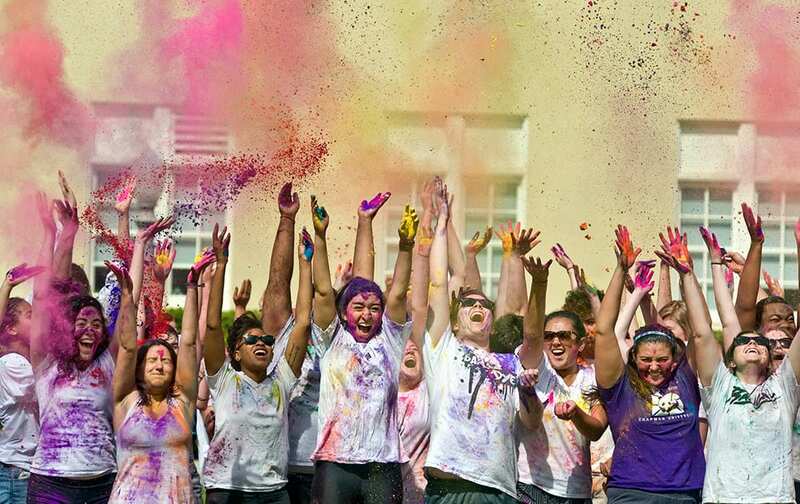 Chapman University students celebrate the Hindu festival of Holi, known for its use of colorful powder in celebrations, on the campus' Bert Williams lawn. 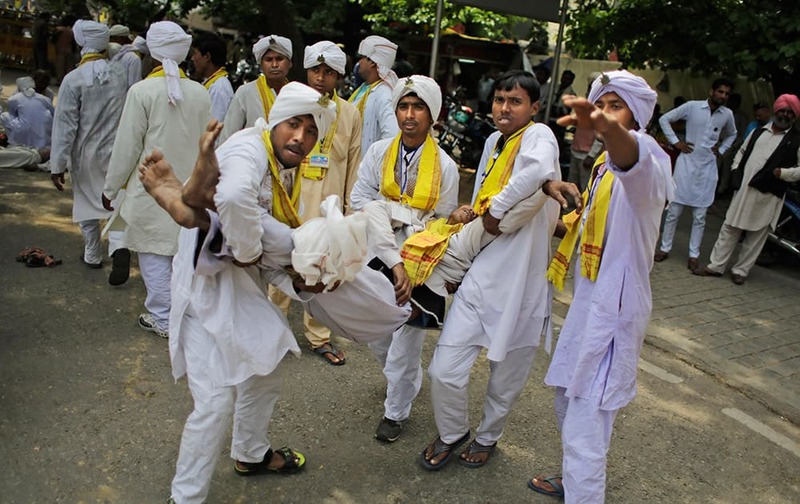 Members of India’s indigenous Rajbanshi community from the north eastern West Bengal state carry one among their group who fainted during a mass hunger strike near the Indian Parliament in New Delhi. The protestors were demanding a separate state of Cooch Behar. In front of a banner reading: "Hang in there! 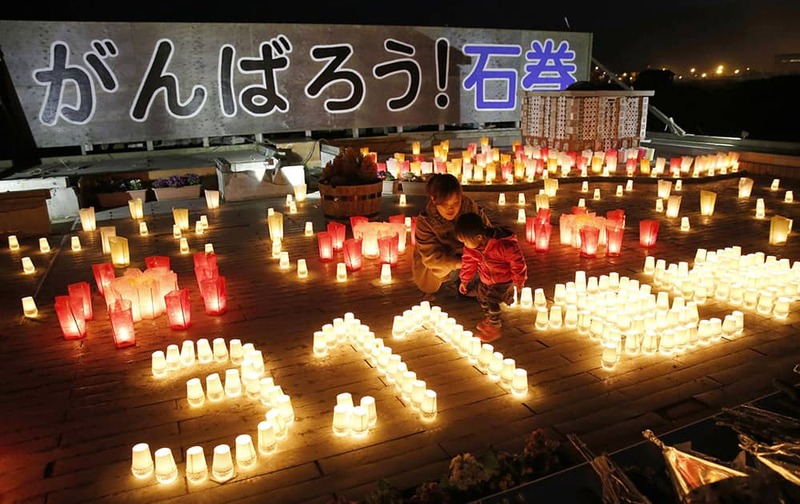 Ishinomaki" a toddler and a mother look at candles lit to mark the fourth anniversary of the March 11, 2011 tsunami during a special memorial event for the victims in Ishinomaki in Miyagi Prefecture, northeastern Japan. 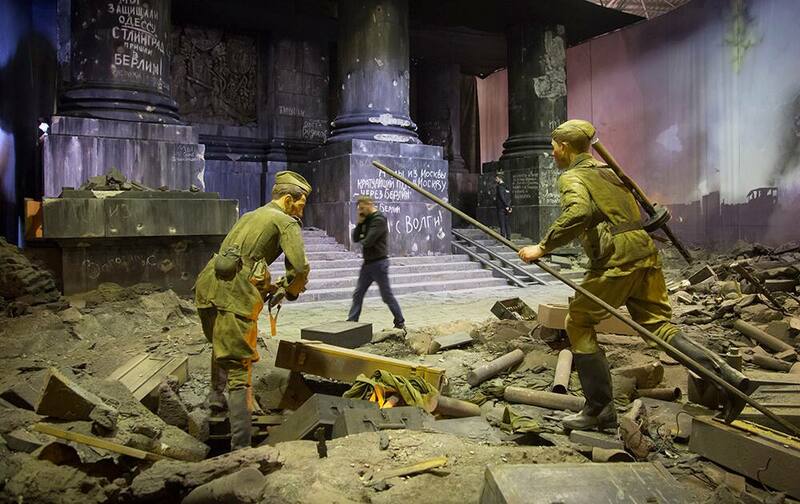 A man walks, with sculptures of Sovise soldiers in front, at a panorama of the 1945 battle for Berlin in St. Petersburg, Russia. Prime Minister Narendra Modi, listens to Seychelles President James Michel during a meeting in Mahe, Seychelles. A model wears a creation for Louis Vuitton's fall-winter 2015-2016 ready to wear fashion collection, presented at Paris fashion week, Paris, France. 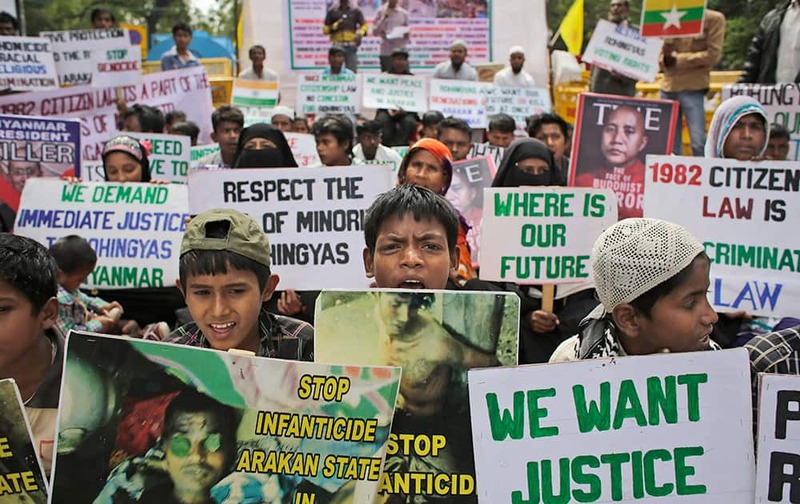 Rohingya refugees living in India hold placards during a protest demanding an end to the violence against ethnic Rohingyas in Rakhine State of Myanmar, in New Delhi. Crew members gather to push the Solar Impulse 2 towards a hangar after it landed at an airport in Ahmadabad. 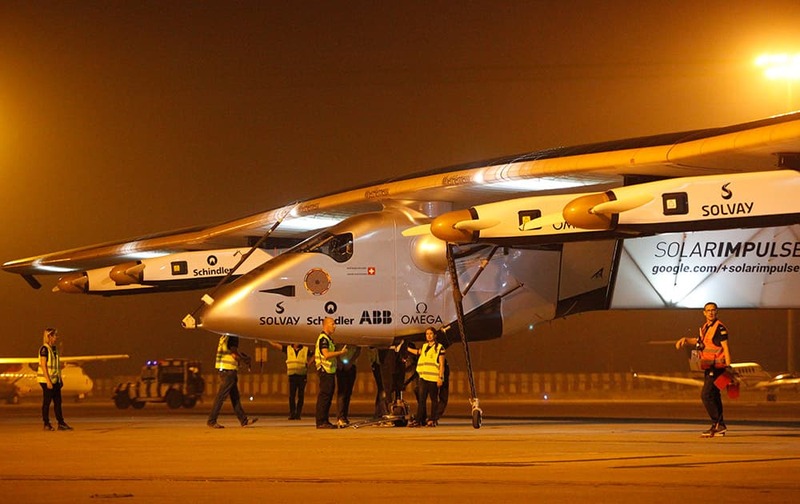 The Swiss-made solar powered aircraft landed in western India on Tuesday night, completing the second leg, and its first sea crossing, of its historic round-the-world trip. 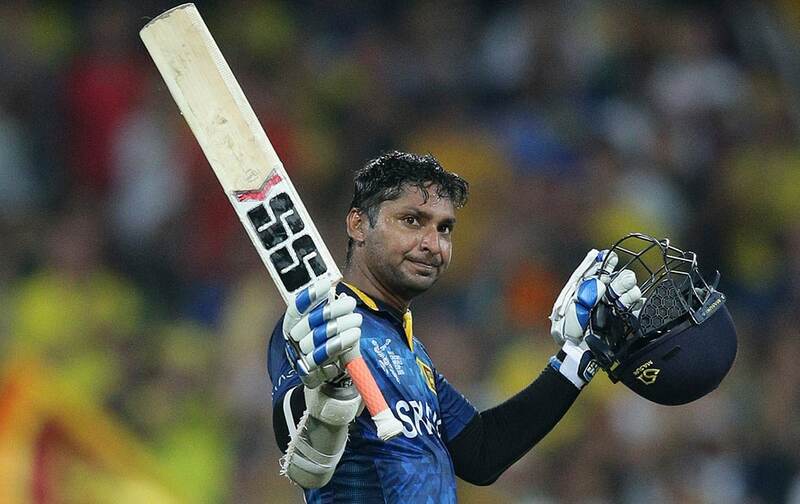 Sangakkara has scored an unprecedented fourth consecutive century at the World Cup during his team's Pool A match against Scotland in Hobart. 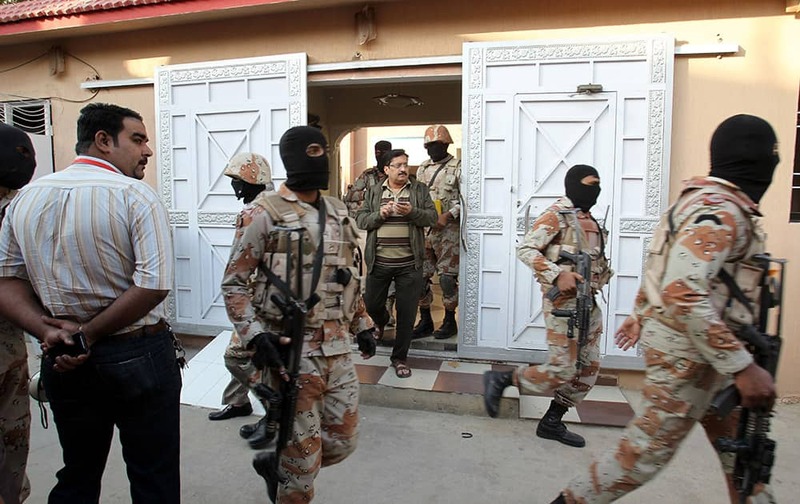 Pakistani paramilitary troops raid the Muttahida Quami Movement's offices in Karachi, Pakistan. A Pakistani army officer says about 20 suspects were arrested, weapons seized and the premises were sealed during a raid on the headquarters of the well-known political party. 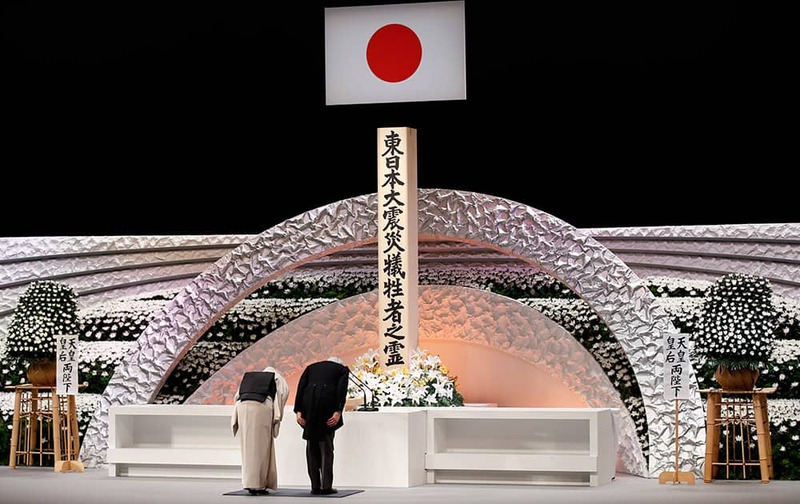 Japan's Emperor Akihito and Empress Michiko bow in front of the altar for the victims of the March 11, 2011 earthquake and tsunami, at the national memorial service in Tokyo. 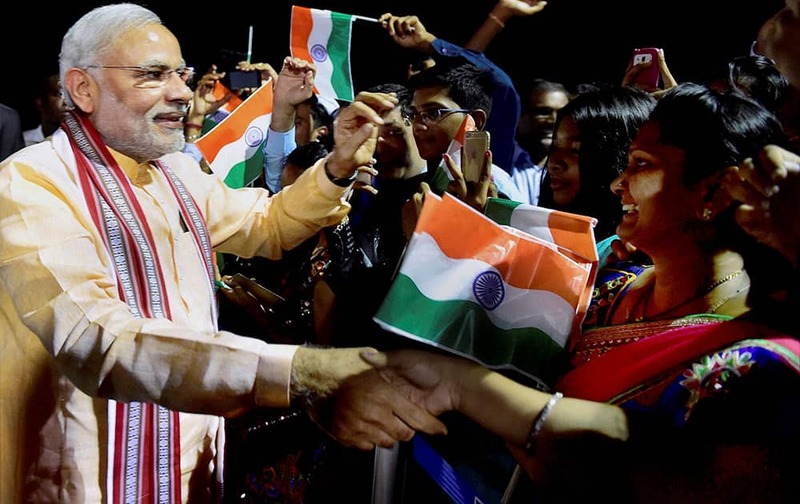 Prime Minister Narendra Modi meets people of Indian community upon his arrival at Mahe in Seychelles. 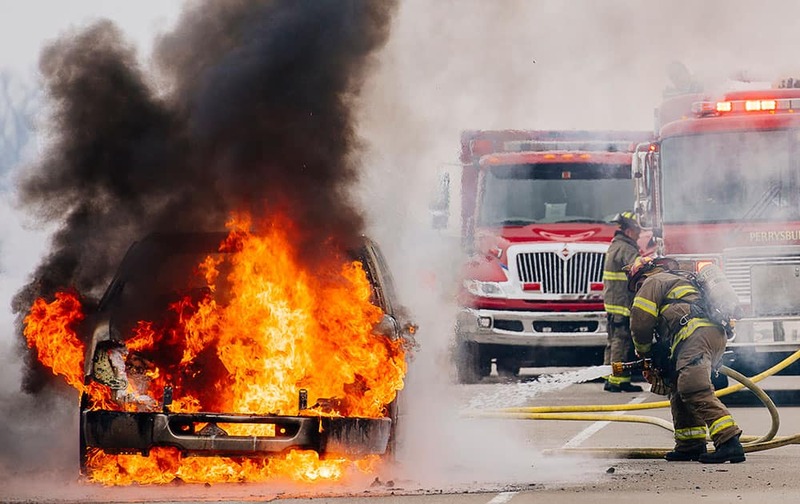 Firefighters from Perrysburg Township work to put out a vehicle fire in the northbound lane of Interstate 75 just south of Perrysburg, Ohio. 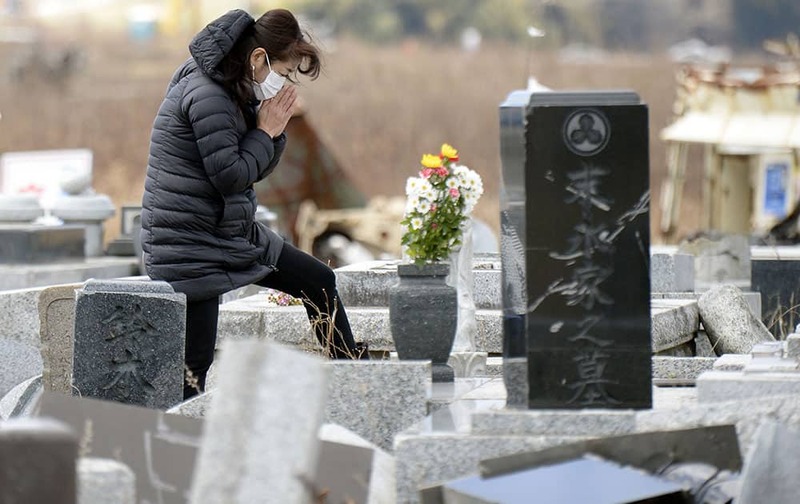 A woman prays in front of her ancestors' tomb which was damaged by the March 11, 2011 earthquake and tsunami, in Namie, Fukushima prefecture, northern Japan. 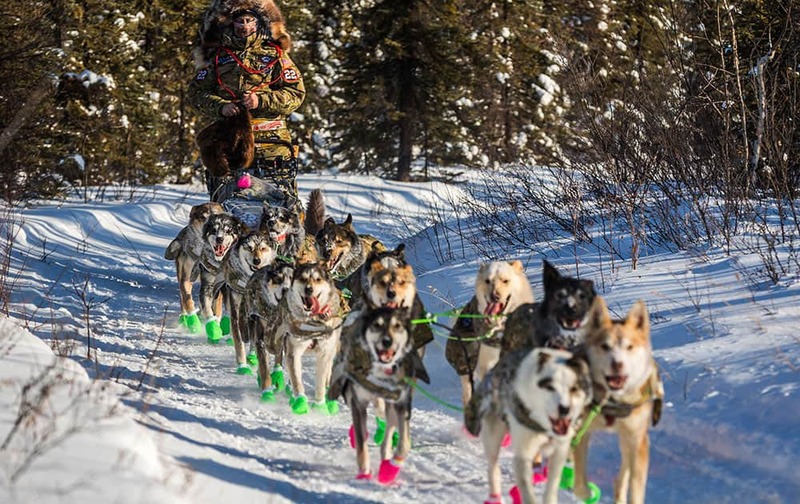 Rick Casillo mushes into Manley Hot Springs, Alaska, during the Iditarod Trail Sled Dog Race. 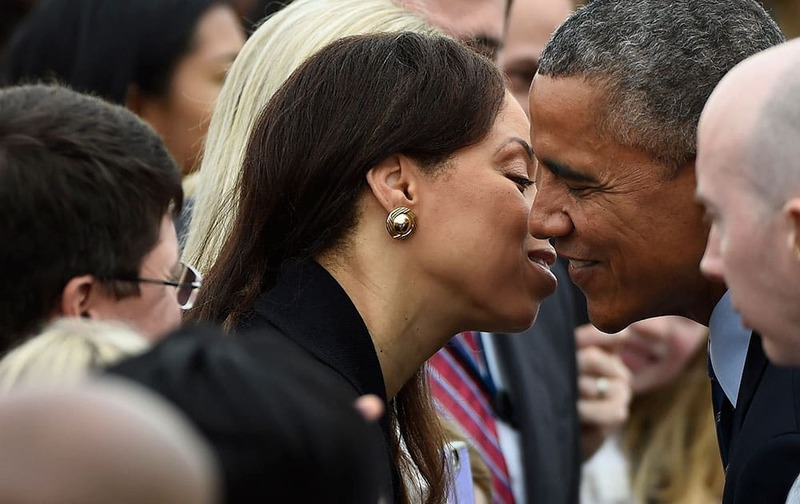 President Barack Obama gets a kiss upon his arrival on Air Force One at Hartsfield-Jackson International Airport in Atlanta, before speaking at Georgia Tech about an executive action he signed that clamps down on student loan providers. 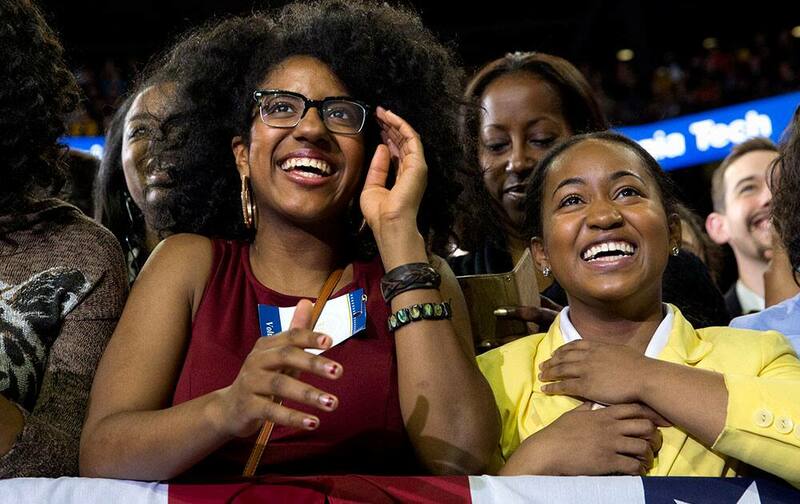 Young women react as President Barack Obama begins to speak at Georgia Tech in Atlanta,, about his plan to clamp down on the private companies that service federal student debt. 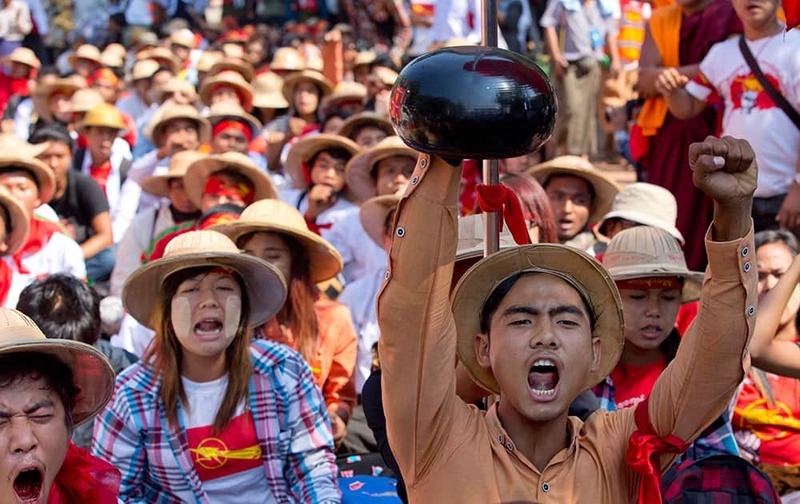 Student protesters shout slogans during a protest ahead of a crackdown in Letpadan, 140 kilometers (90 miles) north of Myanmar's main city of Yangon. Model Cara Delevingne kisses a waiter as she wears creations for Chanel's ready to wear fall-winter 2015-2016 fashion collection during Paris fashion week. 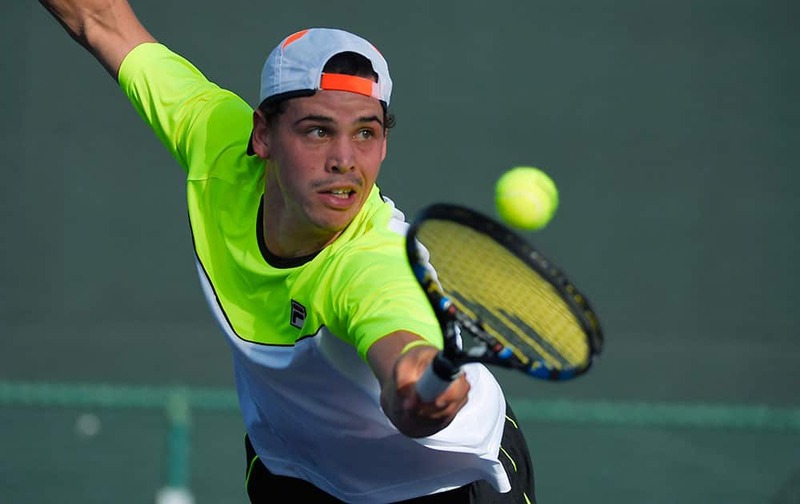 Alex Bolt of Australia returns to Go Soeda.of Japan, during a qualifying match got the BNP Paribas Open tennis tournament. 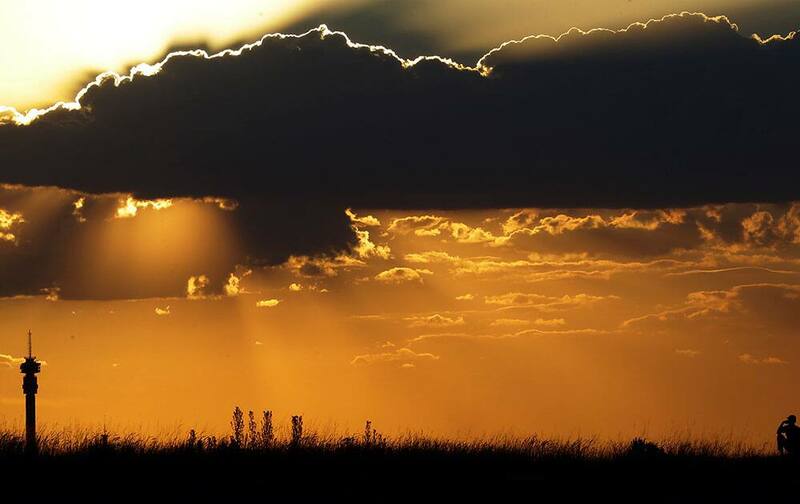 A man watches the sun set in Johannesburg, South Africa. 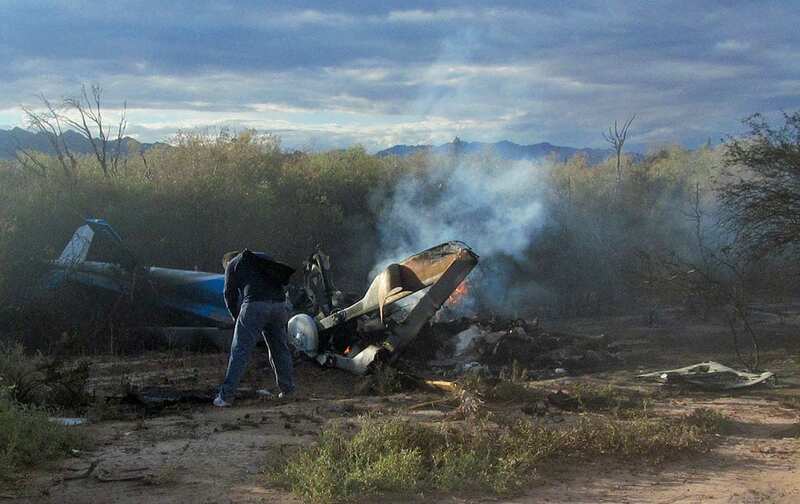 A man stands next to the wreckage of one of two helicopters that apparently collided in midair, near Villa Castelli, in Argentina's La Rioja province.